The eKO Lite Mat is new and improved! Now available in 4mm thickness, the eKO Lite offers an unparalleled grip to perform even in the sweatiest of conditions. 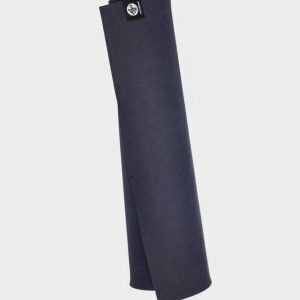 This eco-friendly yoga mat made from biodegradable, non-Amazon harvested, natural tree rubber provides cushion and support for your practice while protecting the planet. 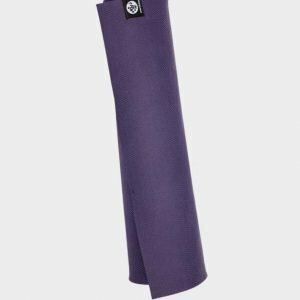 Manduka’s renowned eKO Lite mat is new and improved, and now offers an unparalleled grip to perform even in the sweatiest of conditions. In addition to its superior grip, the mat provides exceptional comfort and performance. The eKO Lite mat is eco-friendly and made from biodegradable, non-Amazon harvested, and natural tree rubber that cushion and supports your body while protecting the planet. The new rippled water top surface features an innovative, sealed-cell natural rubber surface that creates a hygienic barrier and excellent loft and recovery. 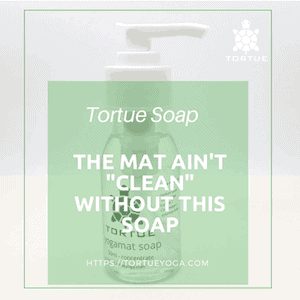 These natural rubber mats use a toxic-free softening process and are completely free of toxic foaming agents and plasticizers found in other mats. The eKO Lite represents a bright future for the eco-friendly yoga mat - it leaves behind no footprint in landfills, but will definitely make a lasting impression in the studio. Tri Layer Technology for optimal combination of grip, durability and slip-resistance. Grip & Durability (Top Layer): ‘Rippled water’ surface texture is naturally grippy; the sealed-cell surface keeps out moisture (sweat) from seeping into the mat and breeding bacteria for better durability. Dual Function Cushion (Bottom Layer): Thicker, bottom layer provides lightweight cushion and excellent loft and recovery for your practice! Stretch-resistant Scrim (Center): Stretch-resistant scrim binds the unique layers together using a heating process which eliminates the need for toxic glues. Natural & Earth Loving: Eco-friendly yoga mat is made from biodegradable, non-Amazon harvested, and natural tree rubber with non-toxic foaming agents and non-azo dyes. Produk ini di asuransikan seharga Rp 7,686. 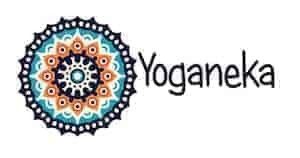 Bagaimana Yoga Dapat Membantu Melawan Osteoarthritis? !